NORTHFIELD — A local man has been charged with breaking into a local residence where his alleged crimes were captured by a home surveillance system. 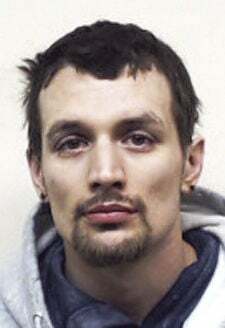 Police arrested Brennan Szanto, 31, of Northfield, and charged him with breaking into a home at 32 Bean Hill Road last Tuesday. The homeowners told police the burglar got into a sunroom attached to the residence, which triggered the surveillance camera, but the intruder was not able to get into break in to the main part of the house. Northfield arrested Szanto on Friday. He was due to be arraigned Monday afternoon in Merrimack Superior Court. Northfield police said Szanto’s criminal history includes burglary, theft by unauthorized taking, receiving stolen property, loitering or prowling, and criminal trespass. Szanto was being held at the Merrimack County Jail on $10,000 cash baill. Northfield police said Tilton police assisted in the investigation.